Look at my new hat knitted Fair Isle Style. I guess I will wear it all winter. Novita, a Finnish yarn company asked me if I wanted to test some of their yarns. I decided to go for their Nordic Wool. According to Novita, 50 % of the fibres for this yarn originates from Scandinavia, mostly Norway, the other 50% is from UK Down breeds like Shropshire, Hampshire or Dorset. Nordic Wool is a rather soft DK weight yarn that is available in a lot of beautifully muted colours. 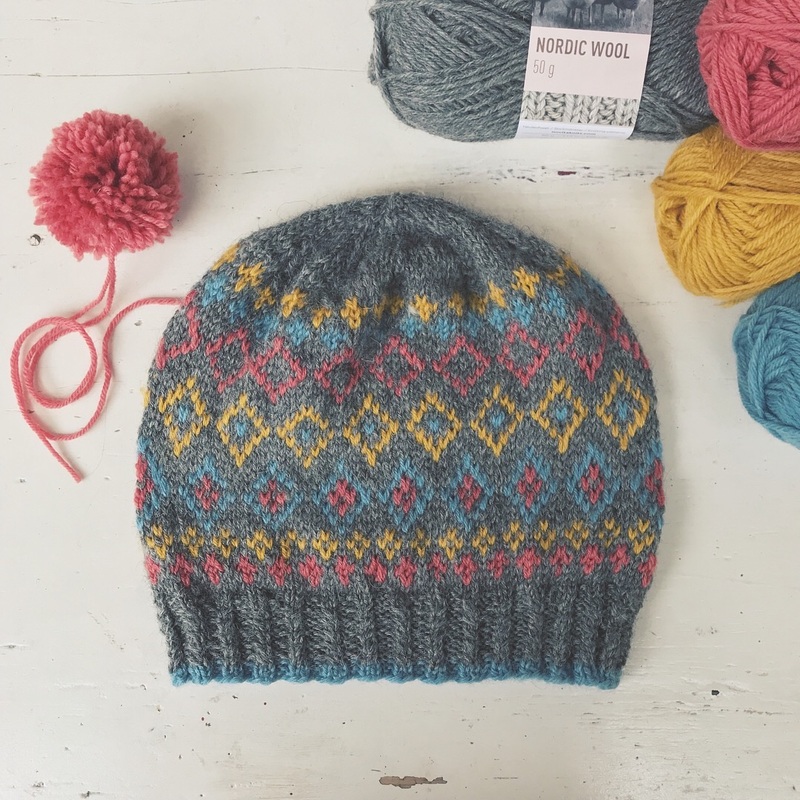 The abundant colour palette, of course, inspired me to knit a hat Fair Isle Style. I chose the shades Stone, Pomegranate, Saffran and Acqua and I am quite happy with my decision. What do you think? The pattern is easy to knit: There are only three rounds where I used more than two colours at once. I consider it a good pattern for people who would like to try stranded knitting for the first time. 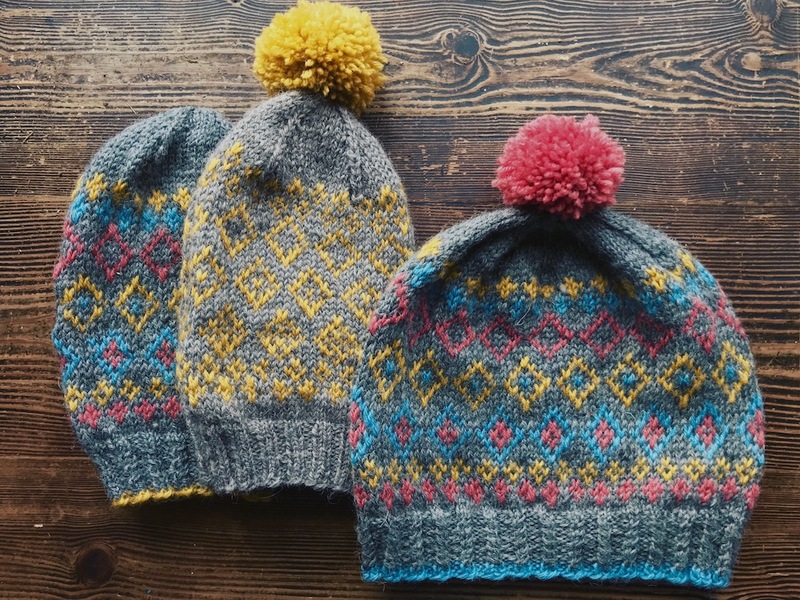 By the way, a hat is a good project for colourwork beginners, too. My tip: For an average adult head circumference I use a cable needle that is approximately 50 cm (20 inches) long (cable plus needle). This ensures almost automatically the right tension of the strands that you carry behind your work. Whoop whoop! I couldn’t stop, the pattern is addictive. So I knitted two more hats.For the grellow one, I only used two shades. And I used a different yarn base in a similar yarn weight from my stash as the main colour. There: Another left-over is gone! The Tofane hat pattern is now available in my Ravelry store.